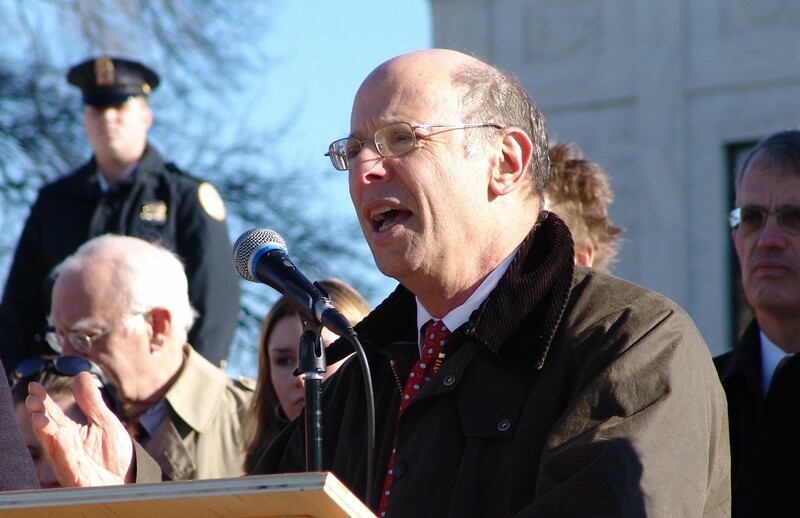 Michael Ratner, who made the defence of human rights his bread and butter mission, is probably defending some unfortunate before a constituted tribunal in the sky. When living, he enchanted those he defended and irritated authorities with his skills of advocacy. Much of this was done spearheading the Center for Constitutional Rights, a body he transformed into one of the world’s foremost civil liberty outfits. Ratner proved an incessant warrior against the unspeakable in US foreign policy. His criticism was informed by an educational diet nourished by a major in medieval history studies at Brandeis and the political push of Herbert Marcuse. For Ratner, the great nightmare on the hill of constitutionalism, one that transformed the beacon of hope to one of doom, was the US treatment of inmates at Guantánamo. Under the Bush administration, 779 were brought to the sinister surrounds of the camp, denied legal representation in a juridical limbo, and subject to state-sanctioned torture. In an observation of some understatement from the Center for Constitutional Rights, challenging polices of indefinite detention of terrorist suspects “was not a popular position” when Ratner took the plunge. Yet Ratner had seen this before, albeit in milder form. During the Clinton administration, the naval base became the dubious residence of HIV-positive Haitian refugees. This provided a foretaste of legal purgatory for non-persons, an idea that Clinton was floating in an effort to make sure that such individuals would not find protection on US soil. The argument being tested there was one that would be used again during the misnamed and brutal “War on Terror”. Such figures, being foreigners and technically off US soil, could not demand constitutional protection. Ratner, along with his colleague Harold Koh, seized the day. They enlisted over a hundred Yale law students. In 2004, he did what many thought impossible: convince those heads of the US Supreme Court that foreign detainees (2 Australians and 12 Kuwaitis) held at Guantánamo were entitled to habeas corpus. The Court inRasul v Bush, reversing the District court finding, decided in unprecedented fashion that “enemy combatants” could have their petitions for habeas corpus heard by US courts. “Application of the habeas statute to persons detained at the base is consistent with the historical reach of the writ of habeas corpus,” noted Justice Stevens in delivering the opinion of the court. To this day, that decision reads as a hammer of law fashioned by history, noting the deep links to English legal traditions as fashioned by US jurisprudence. Rasul set a train of some judicial significance in motion, forming one of four cases between 2004 and 2008 that placed a brake on the Bush administration’s view of executive power without restraint. At least one facet of enthusiastic tyranny was contained. As Ratner himself explained, “If you can throw away those rights and simply grab someone by the scruff of the neck and throw them into some offshore penal colony because they are non-citizen Muslims, those deprivations of rights will be employed against all.” Importantly, such a species of abuse was typical, not of a democracy but “the power of the police state”. The logic of advocating and encouraging such programs was high-level criminal responsibility, hence Ratner’s insistence that those behind the torture program be held to account. If only he had lived to see those presidential figures in the dock. Over time, the less vicious aspects of the camp have been ameliorated. The numbers shrank, commencing under the Bush administration, and continuing under President Barack Obama. As colleague David Cole surmises on this point, “The real credit lies with neither president, but with the hundreds of lawyers and thousands of activists who have stepped forward to advocate for Guantánamo inmates” (NYRDaily, May 15). Other areas he pursued which featured a study of the abuses of power came in a range of works covering US policy in Cuba and Latin America. He found what others had suspected: the paw prints of the Central Intelligence Agency in such actions as the assassination of Che Guevara. In Who Killed Che?, forty-four classified documents released under the Freedom of Information Act showed, among other things, the insistent monitoring of Che from 1954, and a 1962 attempt to poison him in 1962 with the assistance of famed Chicago mobster Johnny Rosselli. His ultimate slaying by Bolivian forces was the consequence of an operation by the 2nd Ranger Battalion-Bolivian Army, trained by sixteen Green Berets. The whistleblower’s fate which haunted Ratner most was that of Aaron Swartz, whose death by suicide at the age of 26 on realising he would face 35 years in prison for hacking a digital library proved as devastating as it was numbing. Ratner’s unconditional advocacy helped nurture a diligent army, and forged a relentless generation of vigilant human rights scrutineers. The Guantánamo Bay Bar Association alone boasts over 500 attorneys providing pro-bono advice. They did not spread, let alone conserve freedom, through invasions, missiles and interventions. Instead, the legal brief, the judicial declaration, and the power of persuasion have proven to be their greatest weapons.